Hampshires largest independent approved artificial grass installer and supplier. Covering the South Coast of England. 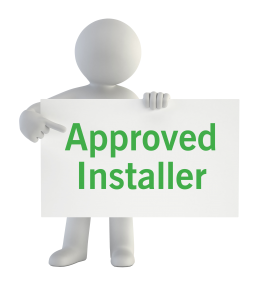 Our installation teams cover all areas of Hampshire including Southampton, Portsmouth, Chichester, Petersfield, Winchester, Andover, Salisbury and Basingstoke. As an independent artificial grass supplier it means we are able to source the best artificial grasses from a range of carefully selected suppliers within the UK and across Europe . With over 30 artificial grasses to choose from we have a grass to suit you, all our artificial grass range is suitable for pets, playing children and can be used during all seasons of the year. Not only do we install artificial grass we can also supply artificial grass, together with all your installation materials, aggregates, fixings, glues, etc. Having started our landscaping business in 1990, in 2009 we changed to dedicated artificial grass installers, it gives us the knowledge to help should you wish to have it installed or supplied. So thank you for visiting our site. If your wondering what to do next simply give us a call 01489 789009 or fill in the form to discuss your requirements or better still come and visit us at one of our showrooms. Love It Lawns - Artificial Grass Installers is feeling happy. Another lorry from one of our suppliers in Belgium. Love It Lawns - Artificial Grass Installers is feeling delighted in Hedge End. I would like to congratulate Love it Lawns for the professional way that the rear garden modification was done this week and also the pleasure we experienced with the works team of Pete, Geoff, Gary and Adam, who were all polite hard working and tidy, they are a credit to the company. We would have no hesitation in recommending your company to anyone who is interested in changing the aspect of their garden. I just wanted to let you know how pleased we are with the new lawns that were completed today. Geoff and Pete were really great to work with and nothing was too much trouble. They went above and beyond our expectations and your visit to survey the work clearly gave them a head start. I would have no hesitation in recommending Love It Lawn to friends and family, who will be green with envy. I’m not on Facebook, but if you are able to make use of my feedback, please do so. Just to prove the lads were also happy, I’ve included a couple of photos.